Whether you are keen to start sewing for the first time, or your sewing machine has grown some dust recently, Fashion Antidote has the perfect class for you! 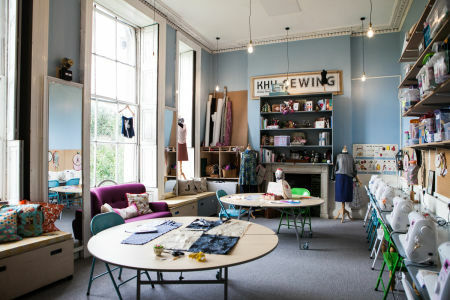 No experience is needed for this beginners sewing class, just off Brick Lane. 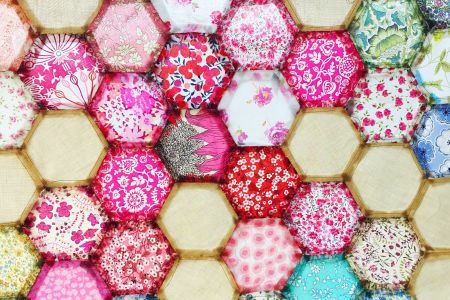 Whether you're keen to start sewing for the first time, or your sewing machine has grown some dust recently, Fashion Antidote has the perfect class for you! Over the space of two days, your expert guide will teach you all the tips and tricks you will need so that when you leave you'll be sewing like a seasoned pro. They will also be on hand to answer any questions you might have and to make sure you've got each skill nailed down before moving on. To begin with, your instructor will show you around your sewing machine before discussing the best way to set it up, including how to choose the correct needles and threads, how to wind the bobbin, the correct way to thread the machine and how to adjust the tension. You will then learn the basic stitches, seams and how to finish off rough edges before moving on to some trickier techniques such as facings, darts and incorporating zips into your designs. Eventually, once these all feel like a doddle, the class will wrap up with some of the more advanced skills, which you will need in order to make clothes, such as gathers, frills, hems and machined buttonholes. In China, there is a tradition known as the fête of the Milky Way. The Milky Way represents the impassable heavenly river, on either side of which is the cowboy star and the pining maid, who meet once a year on 20th August. Chinese girls watch and listen during the night to hear what the stars might say. In the morning, they drop a needle into a bowl of water and if it stays on the surface, they can tell their fortune from the way the shadow is reflected. We will provide you with everything you need for the class, all you need to do is arrive and enjoy! You will provided with a sewing machine for the day, however if you would like to bring your own, that is also absolutely fine!